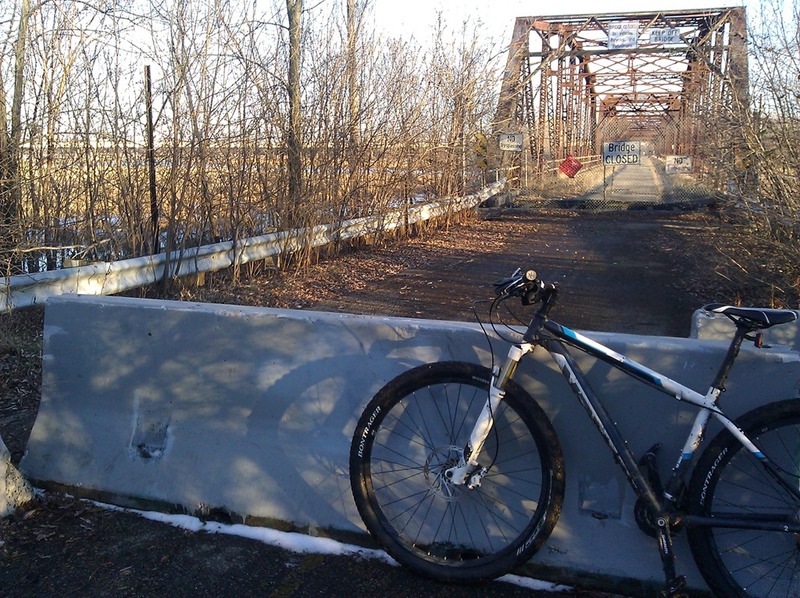 I rode a section of the Minnesota River Bottoms mountain bike trails system yesterday, my first time there. 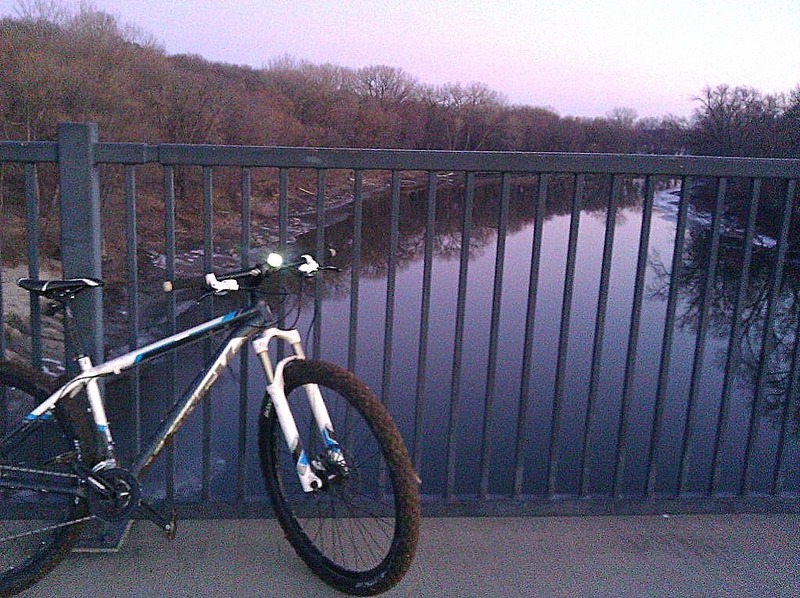 I started at the west end, via the Bloomington Ferry Road access point just off Hwy 169 and Old Shakopee Rd, rode to the Cedar Ave Bridge and back. With bright sunshine and temps in the upper 30s, there was very little snow left on the trail. It was 75% dry, the rest muddy but very negotiable. I was by myself and with sunset at around 4:30, I stuck to the main trail rather than exploring some of the side routes. I still took several wrong turns, as nothing is marked, but it’s no biggie since the trail system is between the river and the high ridge. No way to get lost. There aren’t many technical obstacles on the main trail and as the MORC review says, the west end is pretty flat, beginner to moderate in difficulty . That’s evidently why it’s a popular destination when there’s snow. 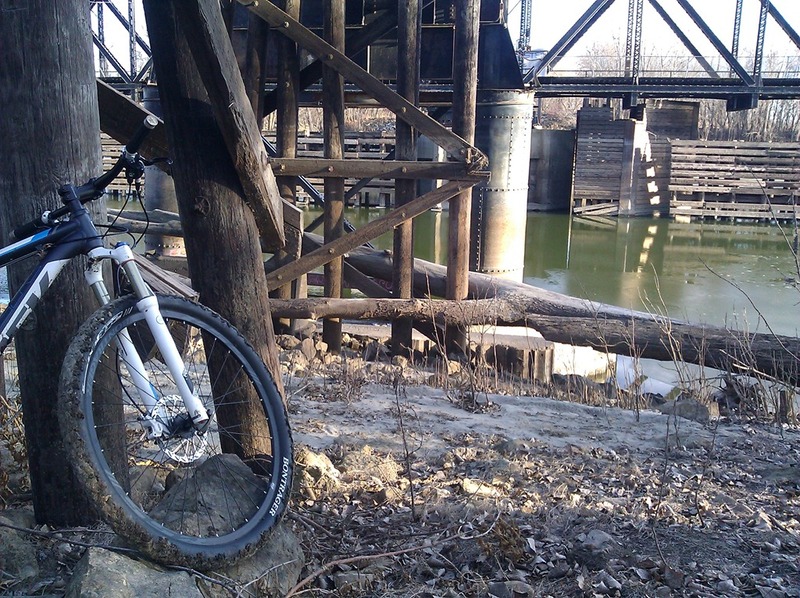 My 29er would do fine here with a moderate amount of snow. I plan to go again with someone who knows all the side routes.